Sponsor is My Place Hotels of America, LLC, 1910 9th Avenue NE, Aberdeen, SD 57401 (“Sponsor”). The 2018 “My Wixom Pic” Photo Contest (the “Contest”) begins June 18, 2018 at 12:00 p.m. Central Daylight Time (“CDT”) and ends July 5, 2018, 12:00 p.m. CDT. ALL ENTRIES MUST BE RECEIVED BY July 5, 2018 AT 12:00 CDT. Information on how to enter and prizes form part of these official rules (“Official Rules”). By submitting an entry, each entrant agrees to the Official Rules and warrants that his or her entry complies with all requirements set out in the Official Rules. This is a skill-based contest and chance plays no part in the determination of winners. Contest is open only to residents of the United States of America who have reached the age of majority in their jurisdiction of residence. No purchase is necessary to win. 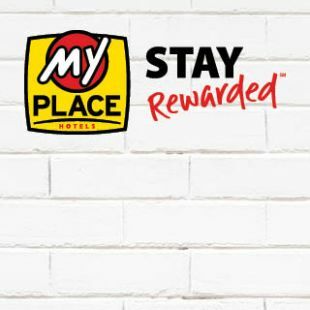 Employees of My Place Hotels, and its subsidiaries and affiliates, and their immediate family members (spouse, parent, child, sibling and their respective spouses, regardless of where they live) or persons living in the same households of such employees, whether or not related, are not eligible. CONTEST IS VOID WHERE PROHIBITED. A brief (50 words or less) explanation of how your photograph showcases or embodies the Wixom, Detroit, and/or Ann Arbor metropolitan areas. Photographs must be in digital format. Only online entries will be eligible. No print or film submissions will be accepted for entry into this Contest. All images must be taken with a digital camera; scans of negatives or slides will not be accepted. All digital files must be 20 megabytes or smaller, must be in .jpeg/.jpg format, and must be printable as a photo-quality image at a size of 30 inches by 18 inches (if a horizontal image) or 18 inches by 30 inches (if a vertical image). Only minor burning, dodging, and/or color correction is acceptable, as is minor cropping. High dynamic range images (HDR) and stitched panoramas are acceptable. Photographs that include sculptures, statues, paintings, and other works of art will be accepted as long as they do not constitute copyright infringement or fraud; entrants must be prepared to provide a release form as described below in "Release." When photographing the work of others, it must be as an object in its environment and not a full-frame close-up of another person's art. The photograph, in its entirety, must be a single work of original material taken by the Contest entrant. By entering the Contest, entrant represents, acknowledges, and warrants that the submitted photograph is an original work created solely by the entrant, that the photograph does not infringe on the copyrights, trademarks, rights of privacy/publicity, or intellectual property rights of any person or entity, and that no other party has any right, title, claim, or interest in the photograph. The caption, if any, must be complete and accurate, sufficient to convey the circumstances in which the photograph was taken. Disguising or misrepresenting the origin of your content is cause for disqualification. The entries will be judged in accordance with the Judging Criteria, as defined below. Proof of submission is not proof of receipt. Entries must be made by the authorized account holder of the e-mail address, or Facebook, Instagram, or Twitter account submitted at the time of entry. “Authorized account holder” is defined as the natural person who is assigned to an e-mail address by an Internet access provider, online service provider, internet domain owner, or other person or organization (e.g., business, educational institution, etc.) that is responsible for assigning e-mail addresses for the domain associated with the submitted e-mail address. Sponsor reserves the right to examine the original photograph/source material in order to confirm compliance with these rules. In the event of a tie, the tied entries will be re-submitted to the Judges for a re-judging between the tied entries alone. In the event that a tie remains after re-judging, the entry with the highest “Accuracy” Judging Criteria will be declared the winner. Winners will be chosen on or before July 19, 2018 and will be notified by e-mail, Facebook, Instagram, or Twitter. Decisions of the Judges are final and binding. If the photograph contains any material or elements that are not owned by the entrant and/or which are subject to the rights of third parties, and/or if any persons appear in the photograph, the entrant is responsible for obtaining, prior to submission of the photograph, any and all releases and consents necessary to permit the exhibition and use of the photograph in the manner set forth in these Official Rules without additional compensation. If any person appearing in any photograph is under the age of majority in their state of residence the signature of a parent or legal guardian is required on each release. Upon Sponsor's request, each entrant must be prepared to provide (within seven (7) calendar days of receipt of Sponsor's request) a signed release from all persons who appear in the photograph submitted, and/or from the owner of any material that appears in the photograph entry, authorizing Sponsor and its licensees (“Authorized Parties”) to reproduce, distribute, display, and create derivative works of the entry in connection with the Contest and promotion of the Contest, in any media now or hereafter known. Failure to provide such releases upon request may result in disqualification at any time during the Contest and selection of an alternate winner. Similarly, upon Sponsor's request, each entrant must be prepared to provide (within seven (7) calendar days of receipt of Sponsor's request) a signed written license from the copyright owner of any sculpture, artwork, or other copyrighted material that appears in the photograph entry, authorizing any Authorized Party to reproduce, distribute, display, and create derivative works of the entry in connection with the Contest and promotion of the Contest, in any media now or hereafter known. Failure to provide such releases upon request may result in disqualification and selection of an alternate winner. Finally, upon Sponsor's request, each entrant must be prepared to provide (within seven (7) calendar days of receipt of Sponsor's request) a signed written license from the owner of any private property included in the photograph entry, authorizing any Authorized Party to reproduce, distribute, display, and create derivative works of the entry in connection with the Contest and promotion of the Contest, in any media now or hereafter known. Failure to provide such releases upon request may result in disqualification and selection of an alternate winner. Contest winners will have their entry displayed in the public area of the My Place Hotel in Wixom, Michigan. There will be eight entries selected for this prize. No other prize will be awarded, and there is no cash value to the prize. Potential winners shall be required to sign and return within seven (7) days following an attempted notification, an Affidavit of Eligibility and Liability Release, Warranty of Ownership and License, and Publicity Release (“Affidavit”) in which the entrant warrants that he/she is the owner of the photograph (and all the intellectual property rights in the photograph submitted) and grants to Sponsor and its licensees the License described below. Failure to execute and deliver any required documents to Sponsor by the specified deadline may result in disqualification from the Contest, and selection of an alternate potential winner. NONCOMPLIANCE OR RETURN OF PRIZE NOTIFICATION AS UNDELIVERABLE, WHETHER BY REGULAR MAIL OR BY E-MAIL OR OTHER METHOD OF NOTIFICATION, MAY RESULT IN DISQUALIFICATION AND SELECTION OF AN ALTERNATIVE POTENTIAL WINNER. By entering the Contest, all entrants grant an irrevocable, perpetual, worldwide, non-exclusive license to Authorized Parties, to reproduce, distribute, display and create derivative works of the entries (along with a name credit) in connection with the Contest and promotion of the Contest, in any media now or hereafter known, for no additional compensation, including, but not limited to: display at the My Place Hotel—Wixom, Michigan (the “License”). Display or publication of any entry on an Authorized Party’s website does not indicate the entrant will be selected as a winner. Authorized Parties will not be required to pay any additional consideration or seek any additional approval in connection with such use as authorized by the License. 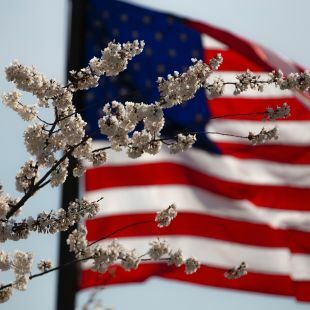 Additionally, by entering, each entrant grants to Authorized Parties the unrestricted right to use all statements made in connection with the Contest, and pictures or likenesses of Contest entrants, or choose not to do so, at their sole discretion, except where prohibited by law. Authorized Parties will not be required to pay any additional consideration or seek any additional approval in connection with such use. Sponsor assumes no responsibility for any error, omission, interruption, deletion, defect, or delay in operation or transmission; communications line. Sponsor is not responsible for any problems with or technical malfunction of any telephone network or lines, computer online systems, servers or providers, computer equipment, software, failure of any entry to be received on account of technical problems or traffic congestion on the Internet or at any website, human errors of any kind, or any combination thereof, including any injury or damage to entrants' or any other persons' computers related to or resulting from participation, uploading or downloading of any materials related to in this Contest. THIS CONTEST IS VOID WHERE PROHIBITED. Entrants agree that this Contest shall be subject to and governed by the laws of the State of South Dakota and the forum for any dispute shall be in the Fifth Judicial Circuit, Brown County, South Dakota, or the Federal District Court for Northern District of South Dakota. Certain restrictions may apply. Entries are void if Sponsor determines the photograph to not be an original, or if the entries are incomplete, inaccessible or blocked, corrupted, damaged, irregular, altered, counterfeit, produced in error or obtained through fraud or theft. Right to cancel or suspend contest. Entrants are responsible for complying with these Official Rules. 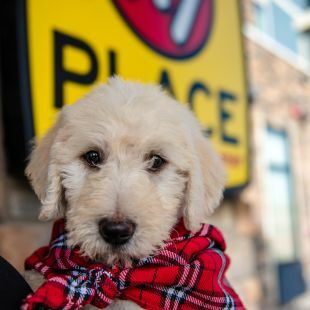 Winners' names will be available online at https://www.myplacehotels.com/my-wixom-pic-photo-contest on or about July 20, 2018. Facebook, Instagram, and Twitter (“Platforms”) are merely platforms for submitting entries to the contest. The Platforms are not sponsors of or in any way affiliated with this contest promotion, nor is this contest endorsed by, administered by, or associated with the Platforms. By entering this contest, each entrant agrees to completely hold harmless and release the Platforms to the maximum extent allowed by law from any and all claims of any nature whatsoever. You may not open multiple Platform accounts to increase your chance of winning; doing so will disqualify you from the contest. Sharing on your personal timeline or feed, on another’s timeline or feed, or tagging friends will not increase your chances of winning.